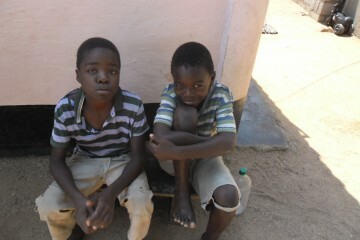 This project provided holistic support for child-headed families in Buluwayo, Zimbabwe. Using an intensive mentoring programme, parenting workshops, and food and income generation assistance, we provided practical support to young people who are leading child-headed families. As leaders of child-headed families, these young people were responsible for up to 5 siblings each and vulnerable to HIV/AIDS, abuse, poverty and malnutrition, with severely limited, if any, access to education. A team of carefully selected mentors served as adult point of reference for questions, information, support, and advocacy on issues around housing, education and income generation projects. The young people were visited at their homes and were also able to access meetings, drop in services and signposting onto additional services, such as healthcare. The mentors also delivered parenting support workshops and HIV/AIDS awareness programmes. 200 young people who are leading child-headed families were supported over a 5 year time span. We are now developing a follow-up programme for child-headed households, which will look to address the family’s needs by creating income generating projects to enable financial self-sufficiency.